Park City s Marina Mayo races past two Skyline defenders on Monday evening at Dozier Field. 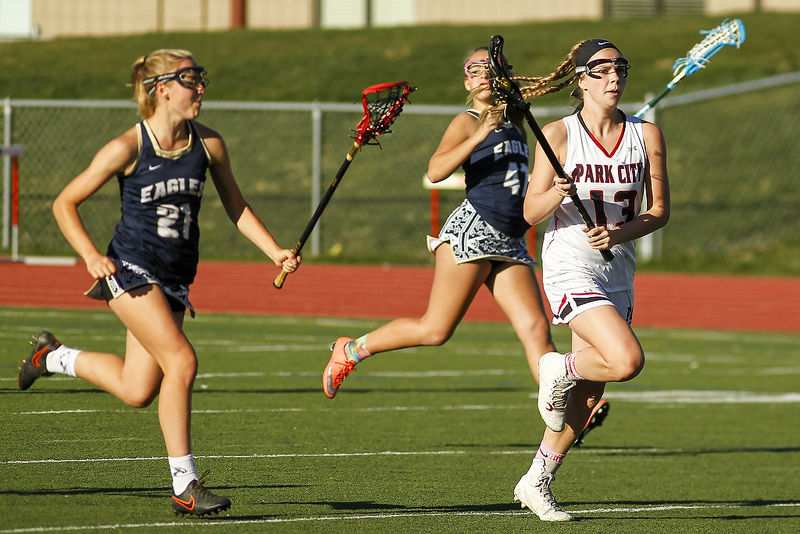 The outcome of Monday night’s game was never in doubt for the Park City High School girls’ lacrosse team. The Miners scored early and often in their 23-3 blowout victory over Skyline. 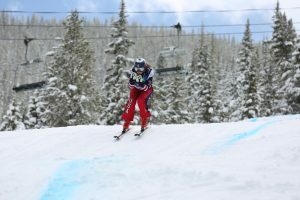 The Miners were never under much pressure against the Eagles, though Park City Assistant Coach Katie Kleinendorst said it was a good tune-up for the playoffs nonetheless. "We’re feeling great," she said. "Our transitions are smooth and our defense is looking amazing. No one is getting past them and our attack is making some great plays and passing the ball really well." 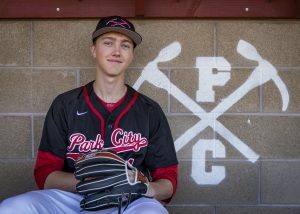 Kleinendorst pointed to Park City’s 8-7 loss to American Fork on March 25 as a turning point in the season. After that, she said, the young Miner squad has been steadily improving. "We swept that game under the rug and just kept moving forward," she said. "We’ve been getting better each practice and each game. It’s been fun to watch." She added that it’s nice to have the team peaking at this point in the season. "As a coach, this is what we are shooting for — playing our best lacrosse come time for the playoffs," she said. "We’re really proud of how everyone’s playing. We’re playing like a team and competing unbelievably well." 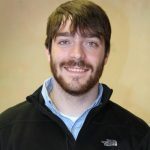 In a game like Monday’s, Kleinendorst said it’s still important to stay sharp both defensively and in the attacking end. "We were just trying to keep things really tight on defense and have smooth passes," she said. "We also tried to pass as many times as we could before shooting unless it was an obvious drive." Keeping goalie Courtney Kaufman playing well and feeling confident will be the key to the playoffs, Kleinendorst said. "It’s extremely important, especially for us," she said. "We don’t face many shots, so it’s really important to have a hot goalie who’s always ready for that shot. That could be the difference maker." The Miners will most likely enter the playoffs as the No. 2 seed, though the No. 1 seed is still a possibility if American Fork slips up. Either way, Kleinendorst said, the Miners are looking forward to making a run at a third straight state championship. Park City (11-2 overall, 10-1 in Utah) has one more game left on the regular season schedule. The Miners travel to play Herriman on Wednesday night. Park City will host at least one playoff game, but a date and time have yet to be determined.